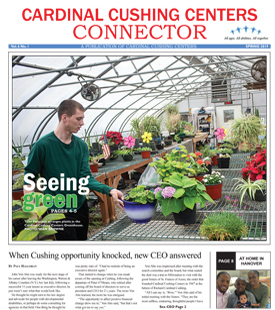 Cardinal Cushing Centers values our employees and recognizes that it is your dedication that makes our continued and growing success possible. As a result, each year we engage in a detailed review of our employee benefit programs. This review includes: comparing our plans to industry standards; evaluating product options; evaluating plan designs; and devising ways to keep your costs as low as possible while meeting the needs of you and your family. As a valued employee of Cardinal Cushing Centers, we are pleased to offer you the following comprehensive benefit package. The following is a summary of the benefits available to you as an employee. Current staff can access all their benefit information by logging in here. *Unemployment: Due to the Corporation’s control by The Sisters of St. Francis of Assisi of Milwaukee, Wisconsin, a religious corporation sole, and in accordance with Massachusetts state law, no unemployment compensation benefits are offered.